Upon arrival in Rio de Janeiro, you will be met at the airport by one of our representatives and taken to your hotel in Rio. You will have the remaining of the day to rest at your hotel or start exploring this vibrant city on your own. After a delicious buffet breakfast, you will start off your Brazil adventure with a half-day tour to Corcovado, the mountain in the middle of Rio de Janeiro; famous for its massive Christ the Redeemer statue. You’ll drive through Laranjeiras, one of the city’s oldest residential districts, and pass by the traditional Cosme Velho neighborhood. There, you will board the train for a scenic trip through the Tijuca forest, the largest urban forest in the world. Upon reaching the top, at 2,300 feet above sea level, you’ll be greeted by spectacular 360-degree city views. Soak up the scenery and feel dwarfed by the 130-foot tall religious statue, one of the New Seven Wonders of the World. In the afternoon, you will have a guided visit to H. Stern Museum. After breakfast, you will have a leisure day for shopping or enjoying the beautiful Copacabana or Ipanema Beach. In the evening, head to Ginga Tropical Roots show. Discover Brazil’s vast musical heritage during the Ginga Tropical Roots Show, a vibrant spectacle featuring traditional dances from all over the country. Let the skillful performers dazzle you with tropical rhythms from batucada drums as well as impressive dance moves. As the show begins, you’re immersed in joyful tunes from traditional Brazilian genres. The talented, professional artists perform vivid dances from the Amazon, Pampas, and Bahia. Enjoy an experience like the incomparable Rio Carnival, as exotic dancers in glittering costumes take over the stage, dancing the energetic samba. All these passionate rhythms are sure to get you in the mood for dancing, so when the opportunity arises, don’t be too shy to shake your hips. After breakfast, you will be transferred to the airport and flight to Buenos Aires (not included, to be booked by agent). Upon arrival in Buenos Aires, you will be met by one of our Argentinean representatives and will be taken to your hotel. You will have the rest of the day to spend at your leisure, remaining of the day at your hotel or exploring Buenos Aires on your own. After breakfast, you will enjoy an exciting half-day Buenos Aires tour with the city’s highlights. Starting the tour at the city center, in the beautiful Plaza de Mayo surrounded by the Casa Rosada (Government House), the Metropolitan Cathedral, and the splendid Cabildo, this served as City Hall under the Spanish colonial rule. You will then continue on to Puerto Madero, Buenos Aires’ modern, financial district, where you will learn about the fascinating transformation of this lively neighborhood. Your next stop is La Boca where the Bombanera soccer stadium and the large population of Italian descendent showcase Argentina’s passion for soccer. In the San Telmo neighborhood, the heart of the tango, you will learn about the history of this beautiful, sensual dance that has become the symbol of Argentinean culture. Finally, you will visit Palermo and Recoleta, the city’s upscale neighborhoods where the Portenos come to (inhabitants of Buenos Aires) indulge in high-class shopping and gourmet cuisine. After breakfast, spend the day shopping at San Telmo for Antiques, or visiting Recoleta on your own. In the evening, head to La Ventana for a tango show with dinner. In the heart of San Telmo neighborhood, La Ventana Barrio de Tango opened for business back in 1982. This totally refurbished historical “conventillo” (tenement) offers a definitive tour of classic porteño culture. This typical early 20th-century house is an ideal stage for a unique show: 32 artists, two tango orchestras, a folk music group, dancers, and singers. 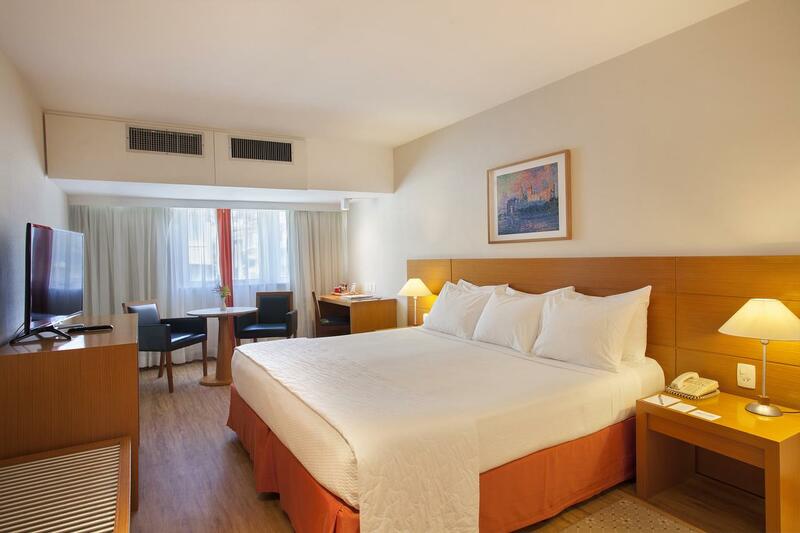 Centrally located in Buenos Aires, Hotel Clasico offers comfortable rooms with free WiFi access. The hotel is 1,950 feet from Plaza Serrano Square. 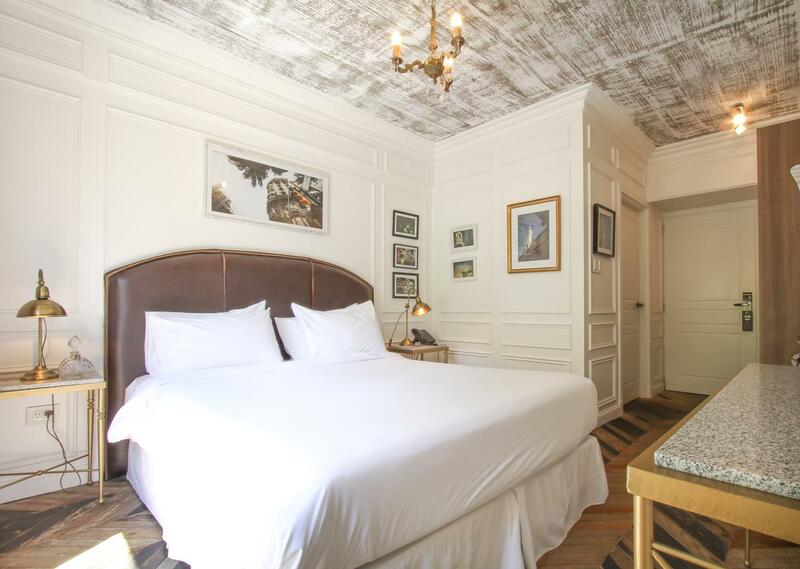 Rooms at Hotel Clasico feature a modern and lively decor with detailed furnishings. They are equipped with air conditioning, safety deposit boxies, flat-screen cable TVs and private bathrooms. Windsor Leme is ideally located opposite lively Leme Beach. Guests can find a variety of restaurants, bars and shops along Avenida Atlantica, where the hotel is positioned. Free WiFi is available in all areas. Windsor Leme offers modern rooms with air conditioning, a TV and a mini-bar. They are elegantly styled with wooden furniture and contemporary décor. Some rooms offer splendid Atlantic Ocean views. Every morning a full buffet breakfast is served, which offers a variety of fresh fruits, breads and sweets. Guests can also enjoy a selection of local and international specialties from the in-house restaurant and bar.